Have you been itching for a change in your home? Perhaps you’ve been contemplating about changing your kitchen backsplash or taking down an interior wall to free up some space. If you’ve been tired of your home’s plain, outdated look, then it might be high time to take on an improvement project. Whether you’re improving a newly bought property or updating your home, a house remodel definitely refreshes your way of living and adds value to your home. 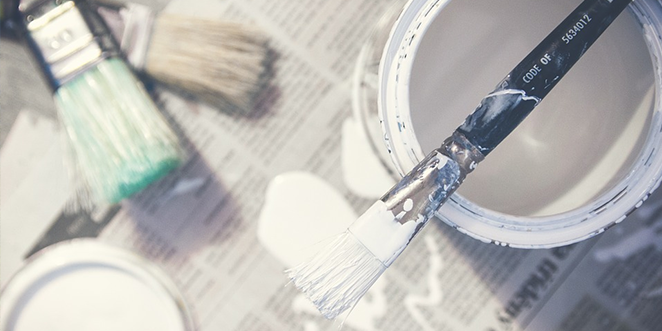 Whether you want to do something simple like painting the walls or you want to change your doors, what’s important is to carefully plan the project to ensure its success. In this article, we will discuss some tips that will help you achieve your goals for your home improvement project. The common mistake that homeowners do is having an open-ended budget for their home improvement project. Keep in mind that most renovations typically exceed the intended budget. So, before anything else, you have to write down all possible expenses. You also have to remember to place some cushion around your budget for unexpected circumstances. It is true that some results done by do-it-yourself enthusiasts can be a whole lot better than those from a professional. However, it is still important to note that there are certain home remodelling projects that are better left in the hands of an experienced contractor. There may be issues that can cost you more money when you try to solve them yourself. Aside from that, it will take longer if you take care of the project yourself. So, it is important that you acknowledge when it is time to hire a professional. On the other hand, if you are confident that you have the knowledge and skills to complete your project yourself, then go ahead and be the general contractor of the project. As long as you find highly skilled and professional workers from in the industry, you can achieve your vision. In general, it is more cost-effective to have your home improvement projects done at once. However, if you do not have the budget to do so, then your only choice is to do them one room at a time. In this case, you have to prioritise those that need urgent attention and would take you a short amount of time to complete. Some projects may be more urgent than others. When you prioritise them, you can avoid devastating damages that will cost you more money. For example, you heard that there have been several burglaries near your neighbourhood. Then, this would be the best time to reinforce your home security by installing screens, grilles or an alarm system. Perhaps, you have hardwood floors and you always have to wear several layers of socks during winter. Even before winter comes, it would be advisable to install carpet on your floors. A lot of homeowners think that they can save more if they purchase the materials themselves. It is true that contractors typically add a mark-up on the cost of the materials. However, it is worth noting that these professionals have valuable connections in the market and they usually get good deals on materials. Even after the mark-up, the price would still be the same as what you’d find on the market. This means that it wouldn’t make a difference if you purchase the materials yourself or you leave that task to your contractor. It is essential to carefully plan the home improvement project since making changes during the process will incur added expenses. Of course, it is alright to amend a prior decision you made. However, try to limit these changes. Whenever you make changes, you’re causing delay. Even the time spent on discussing these changes will cost you money. People working on the project should clearly be informed about the changes so they won’t waste time and money on the old plan. People rarely spend within their intended budget when doing home improvements. This is why it is important to have a contingency fund which you should carefully manage. This money is intended for unexpected expenses. This also means that you should avoid using it for unnecessary changes. For instance, if your initial plan is to create a deck in your backyard, stick to that and avoid extending the project to your whole garden. Save that for another budget and time. Living in another house while the home improvement project is on-going is another expense. However, it can still offer great benefits for your family. Keep in mind that it can be stressful to come home to a messy construction site. Moreover, having kids or pets near the site can be dangerous for them. If you think it would be more strategic, then schedule the home remodelling during a time when you’re allowed to go on a vacation. While you have the remodelling project at home, you can retreat to a comfortable vacation house. Typically, contractors take care of the waste generated by renovations. However, if you are managing your home remodelling yourself, you might want to plan how to dispose of the rubbish. One of the options is dumping your waste to a rubbish tip. However, this can consume so much of your time and energy, not to mention the added expense on hiring a trailer or van. The cost-effective and convenient was to manage your renovation waste is to book a bin from A’n’K Budget Bins. We help you determine the suitable skip bin size for your home remodelling waste. All you have to do is give us a call and schedule a delivery and pick-up. You can keep the bin in your property for four to seven days, enough time for you to fill it. Do you think there are some points we should add to this guide? Let us know in the comments below! What Kind of Skip Bins are Right for You?